How Should I Make Contact With My Birth Family? The method you use to make contact with your birth family will highly depend on the situation. Once you find a birth family member, it is pretty easy to run a background check to get their home address, telephone number, and email address. If the family member is a senior, you might want to stick with a phone call or a letter mailed to their house. If that person doesn’t live alone though, you run the risk of your letter being intercepted. Email is a good form of communication in the sense that you can write back and forth easily for a while before you make contact in person. I don’t like email as much for initiating contact because the email account could be old and no longer used. You don’t want to sit around worrying about their reaction when, in fact, the email was never opened. Facebook Messenger is a great option for contact as it allows you to see when the message has been read. I only recommend using this method if you know that person is very active on Facebook. Otherwise, your message may end up in an “other” folder that is never checked. Many choose to have an intermediary reach out by telephone; that is an excellent choice for initial contact. It gives you absolute immediate proof that the family member was given the information. It also allows them the opportunity to process, emotionally, the things they are being told without the added pressure of you being on the line. If you catch them at a bad time it also affords them the opportunity to get your contact information and get back to you when they have more privacy to talk. If you choose a less direct route and you are not getting a response, don’t get discouraged. Give it some time and try again a different way. 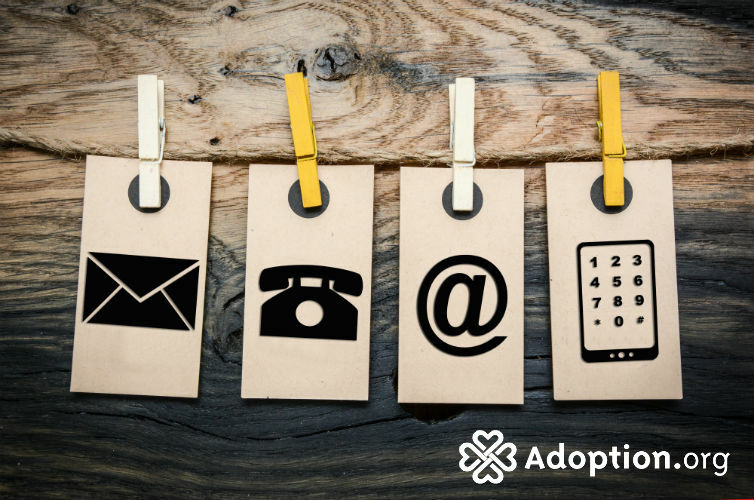 For more information about adoption and contacting your birth family, go to Adoption.com.